Welcome to this weeks Stampin' Up! Artisan Design Team Blog Hop! We are at the end of February and I could not let the month pass with out playing with the Butterfly Basics Stamp Set & Butterflies Thinlits Dies that came in our box this month! If you follow me on social media you may have read that I was needing some color inspiration this week. 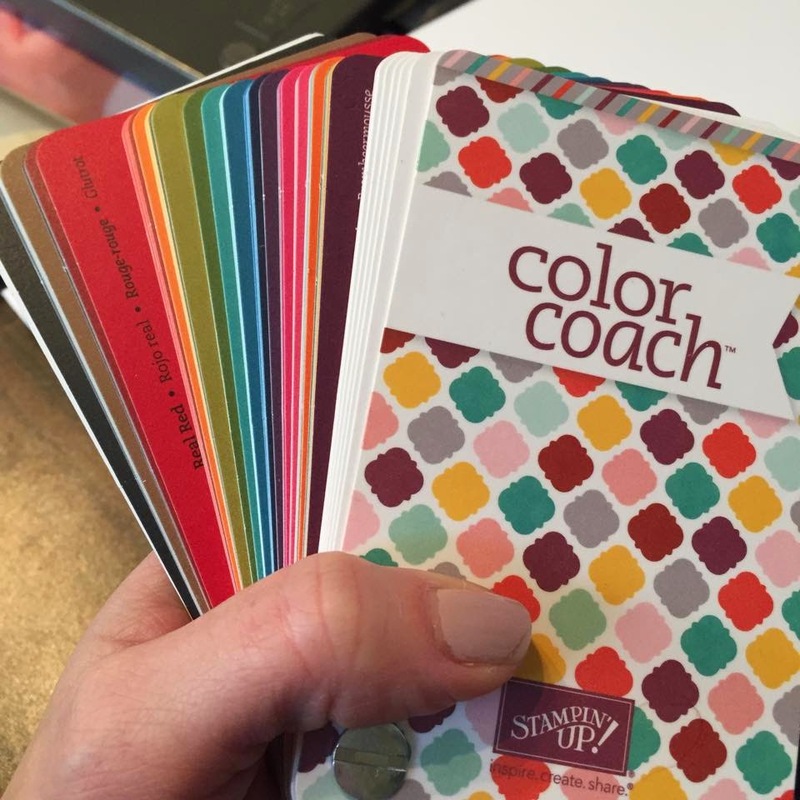 I posted that I was using the Color Coach to find a new color combination. This gem is a go to for me ... do you use it? I did find a fresh spring color combination - and I used it on these cards. When I opened my Wisteria Wonder stamp pad I found that it was shiny & new! I posted this picture and asked my followers to guess what color it was. There were many guesses ... and believe it or not, none were correct! Apparently there are a few colors that I do not use often. I think I need a color challenge!!! Post a color below in the comments that you want me to use on an Artisan project and I will select one! I do have some blog candy to give away if you play along and I will randomly select a winner from all of the entries below!! Up for grabs is a package of Pearl Basic Jewels & a new Wisteria Wonder Classic Ink Pad! Okay - back to the cards!!! Here is a close up look at all of the romantic details on these two cards! When I used this die for the first time I was so frustrated. Getting the butterfly out of the die was a nightmare! I have read on Pinterest that the Butterflies Thinlits Dies work best on the Big Shot with two special ingredients ... wax paper and a dryer sheet. And believe me - it is true! This bow was created using the Painted Blooms Cotton Twine. I separated the thick white twine into thin strands and only used a few for this bow. I could not bring myself to throw away the wax paper butterflies so I used them on the cards. In the card above I placed the wax paper butterfly behind the Wisteria Wonder butterfly. In the card below I left the wax paper on the cardstock (as it came from the big shot). I stapled the butterflies in the center so the pieces all stayed together. The wax paper lifts a little on some edges but I love the texture and soft color that it adds to the paper! 1. Gently ink the blade side of your Thinlit with classic ink. Be careful to only ink the blade (that means do not press it into your ink pad, simply pat it on it). If you get ink on the back side of the metal clean it off with a Q-tip. You can see on the bottom left of my butterfly that I had ink on the metal back of my Thinlit. oops! I left it in the sample for educational purposes. Up next on the blog hop is Lisa Harlow. Lisa's creative style, photography and brilliant projects never disappoint - hop on over! Thank-you for reading today! And do not forget to comment a color below for your chance to win this weeks blog candy!! Have a creative day!